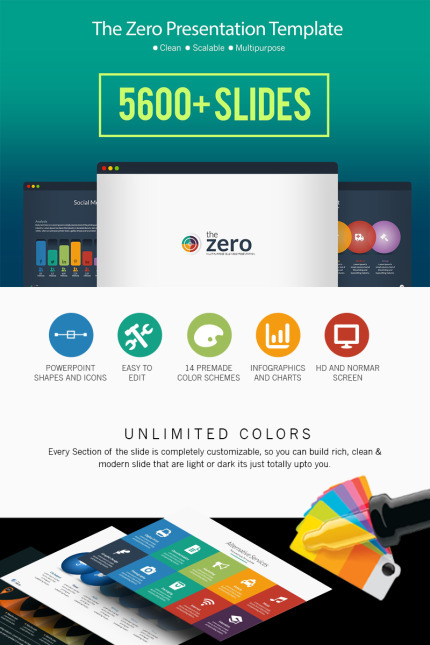 Zero Business Infographic PowerPoint Presentation Template is the perfect for any kind of Business Plan, annual report, company conference, business meeting or showing company analysis. you can change any shape text and color easily without any other application because all shape is 100% vector and already include many color variation. so you can use best color which is the best match with your brand color also include multiple layout for every topics for the use of your choice. Is it really over 5,600+ slides? Yes it is. Actually it’s 5628 slides, to be precise. Here’s how we got that many: There are 28 templates, each about 201 slides (a couple are a little more or a little less), with dark and light color versions of each slide. Per set of templates is over 804 slides (example set 1 light, set 2 dark color), and there are widescreen and 4×3 versions in both PPT. All together, you get 5628 slides! The foundation is over 201 unique layouts taken from real-world, winning presentations. There are 170 unique vector icons that are easily recolored and resizable. So, yeah. Lots of slides. We use the Lato fonts, which is FREE! You can download it here TemplateMonster policy does not permit me to include the fonts in the files you download, but it’s super easy to just click on the link and download the fonts. Many of these are also free, and a couple cost just a very small amount. TemplateMonster policy does not permit me to include any images (even the free ones) in the download, but links to all the images are included in the documentation and it’s easy to download them and put them in your presentation. As a creative director at a major Ad Agency (I’m not allowed to say which) I have access to a pretty large (and expensive!) library of stock photography, which would cost you a fortune to download. So I looked online to find free stuff that looks good that can save you money.